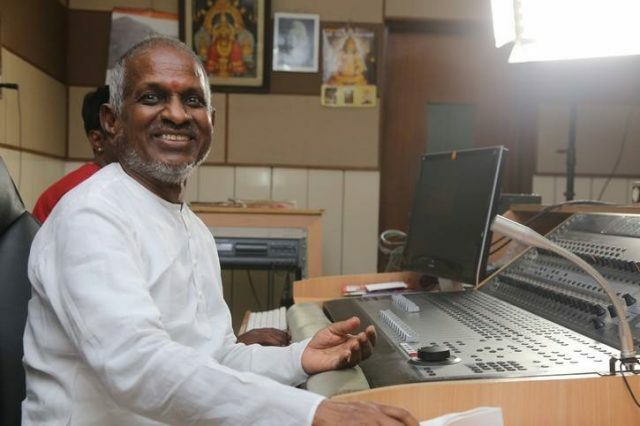 As most of us already know, Ilaiyaraja is arguably the greatest music director in the country today. A veteran in the purest sense of the word, ‘Isaignani’—as he is referred to as by fans– has worked with the who is who of the industry and entertained countless music lovers through his work. Moreover, he is someone who is held in high regard by stalwarts such as Kamal Haasan and Rajinikanth to name a few. Now, this living legend is in the news for an awesome reason. According to a leading daily, Ilaiyaraja has collaborated with veteran lyricist Vairamuthu once again. In an exciting development, Vairamuthu has penned the lyrics of a number titled Roadula vandi odudhu, while Ilaiyaraja has crooned it. Interestingly, the song will be used in STR’s ‘Anbanavan Asaradhavan Adangadhavan’ and has been composed by Isagnani’s son Yuvan Shankar Raja. Interestingly, back in the day, Ilaiyaraja and Vairamuthu had worked together on several occasions and mesmerised fans with their work. However, as luck would have it, they parted parts in the 1980s because of some creative differences Needless to say, music lovers will be curious to see whether they are able to work their magic again. Right, folks? On a related note, ‘Anbanavan Asaradhavan Adangadhavan’ is touted to be an adult comedy and has been directed by Adhik Ravicvhandran. Besides STR, it features Tamannaah and Shriya Saran in the lead roles. So, are you happy about the Ilaiyaraja-Vairamuthu reunioun? Talk to us in the space below.